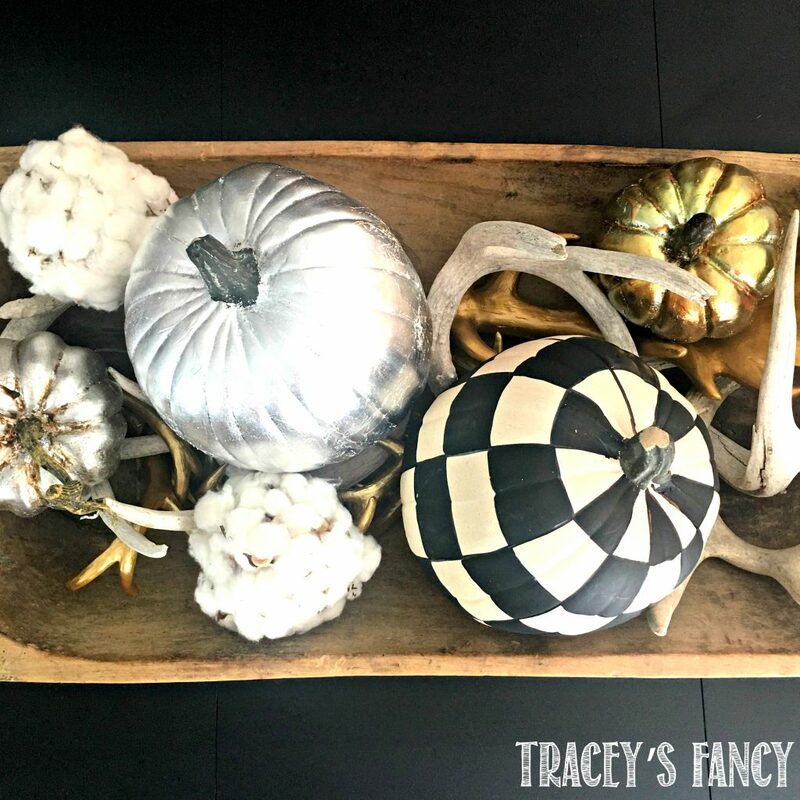 We recently began transitioning the colors in our home from browns, golds and reds….to more of a monochromatic gray, white, black and silver with few accent colors. I am in LOVE with my new dining room table color and my accent wall…and could not stand the thought of adding my fall decor to the room that was full blown oranges and golds!!! 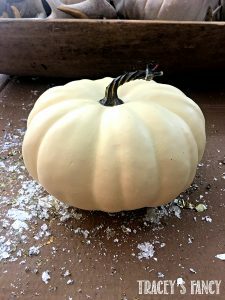 Don’t get me wrong…I love the look of fall pumpkins…but I am totally “zen’d out right now with the “new hue” and wanted to work it in to my fall decor! So…this is what I came up with…..and I thought I would share it with you!!! 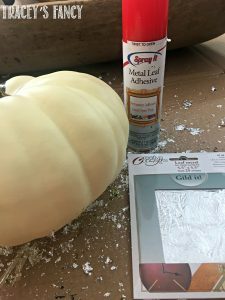 I silver leafed (and gold leafed) my pumpkins using Spray It Metal Leaf Adhesive Spray and Gild It Silver Leaf Metal (Available at Hobby Lobby) or if you have Amazon Prime you can order these metal leaf sheets in gold or silver. Super easy!!! And did three pumpkins in just about 15 minutes!! You literally spray and press! 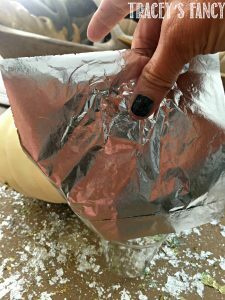 I did one in silver…one in silver and rubbed a dark glaze on it…and one in a patina gold leaf. They are brilliantly gorgeous….shiny…reflective….cracked and aged….and they MATCH my decor!!!! I have used metal leaf for years…..on furniture , decor and even walls! 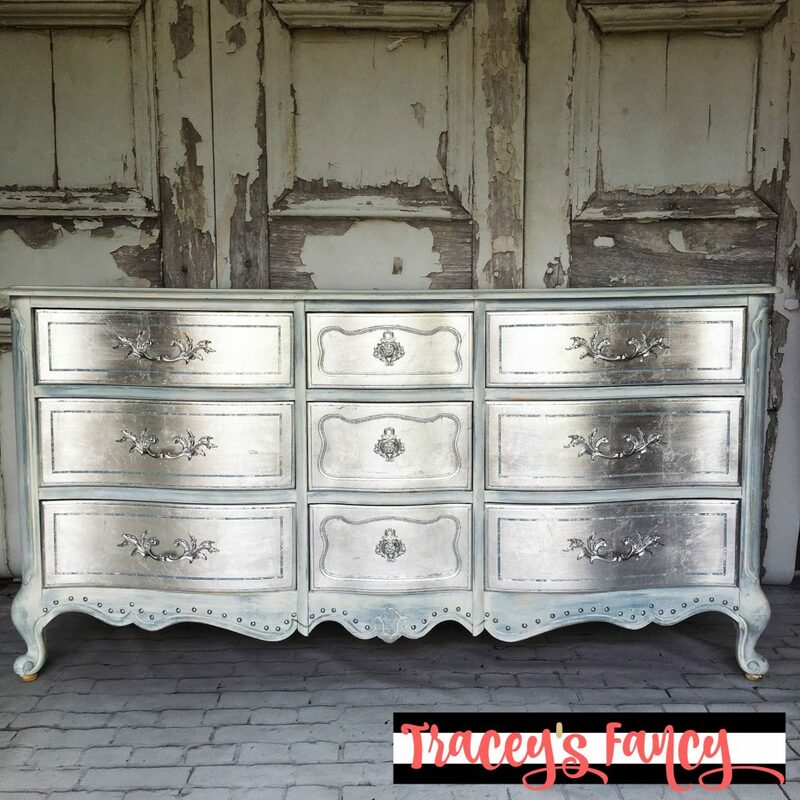 Below is a silver dresser I painted and I silver leafed the drawers! I get asked weekly for instructions on how to do it! It is SOOOO easy!!! 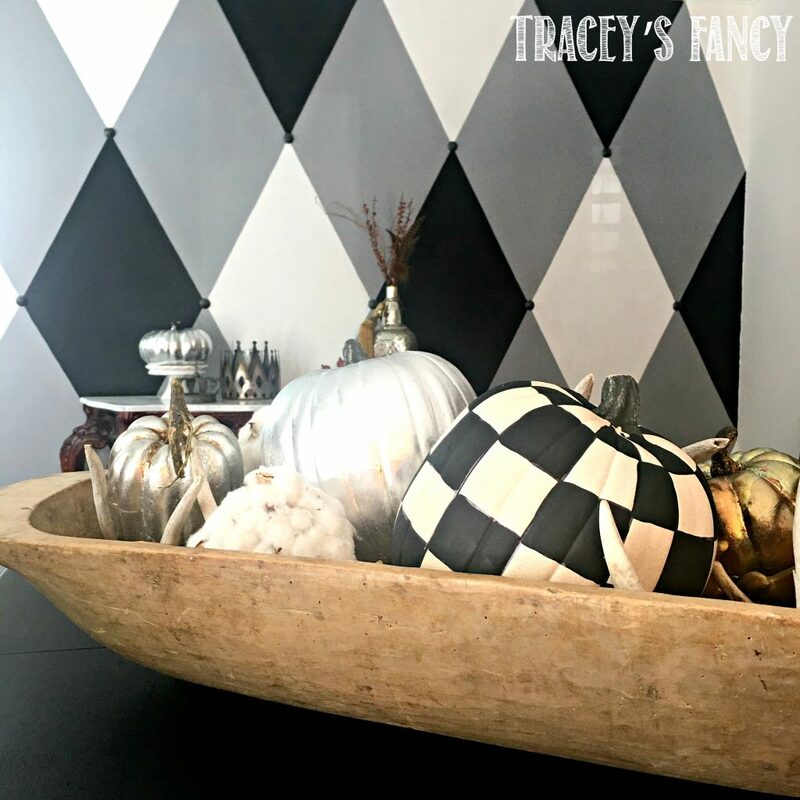 So I’ve sort of made my “branding” around black and white patterns….whether it is checks, stripes, solids or harlequin! I couldn’t leave that out of my table scape! 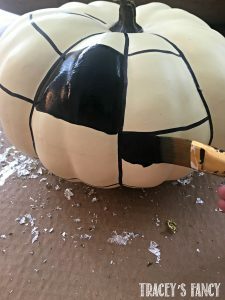 So I VERY quickly and easily made a checkered pumpkin! 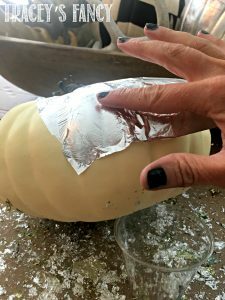 So below you see the silver large silver pumpkin, the checkered pumpkin, the gold pumpkin top right…and the silver “glazed” pumpkin bottom left. I didn’t get photos of the glaze…but its super easy. 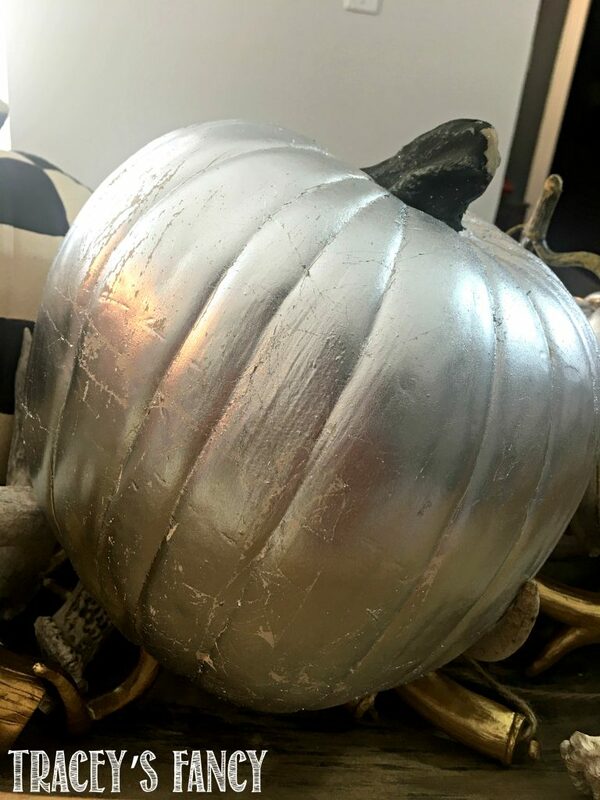 Just silver leaf your pumpkin…then rub it down with any antiquing glaze or gel and wipe off the excess. 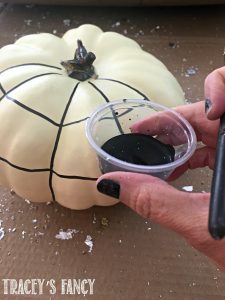 Any black paint can be used! But I do offer my favorite chalk type paint right here in my store! 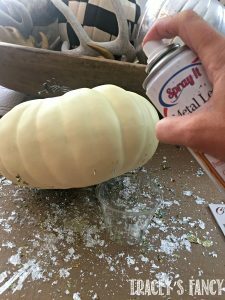 And just for kicks…I am sharing with you below a few examples of how I work in my favorite checkerboard pattern into my furniture art designs! It really should NOT be a “PS”….it should be a “HELLO!! 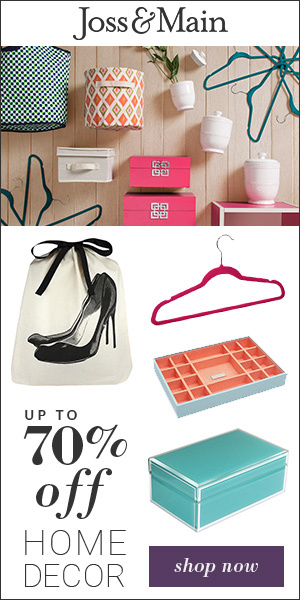 !”….because it is clearly the favorite feature in my home!!!! AND theeennnnnnn….the “ANGEL WINGS”!!! 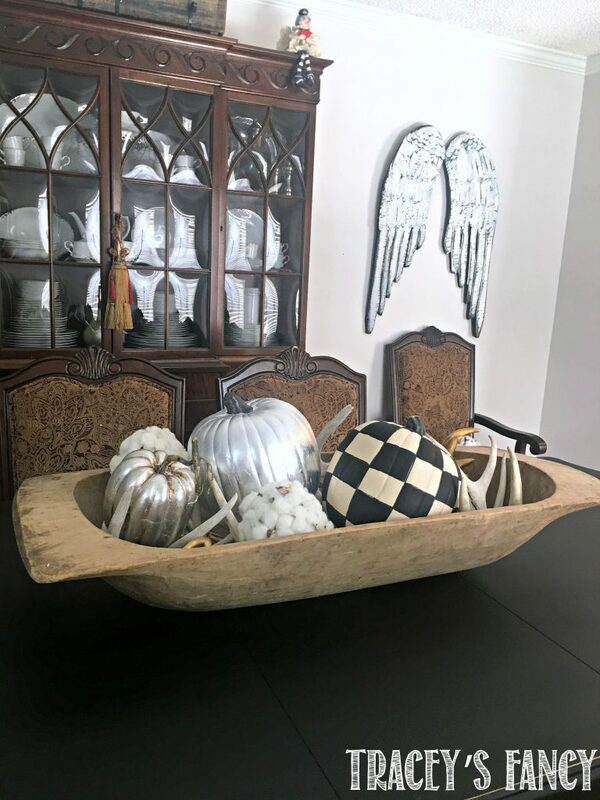 I get asked about my decorative angel wings all the time – I got them years ago from Decor Steals HERE. They are only available twice a year so follow me on Facebook and I will let you know next time you can purchase them! 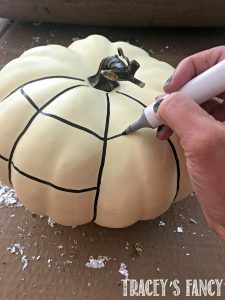 So again….Happy Fall Ya’ll!!!! 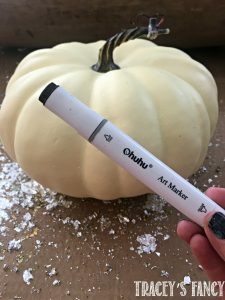 Go paint something FANCY!!! Would you like to see more of my fancy furniture designs and gain insight into my design process?! Sign up to get my blog newsletter here. 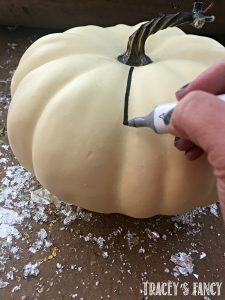 Please please please share my Fancy Upscale Farmhouse Painted Pumpkin pins on Pinterest! And find me on Pinterest!